Kim Baker (Tina Fey), tired of her life and job writing fluff pieces, accepts an offer to be her network's war correspondent in Afghanistan. Upon arrival, she discovers what it's like living in Kabul with other reporters from around the world while covering the atrocities happening within the country. She learns how living in the "Ka-bubble" changes the perception of what is normal. We have to start off this review by mentioning that the marketing for this movie has been a little misleading. 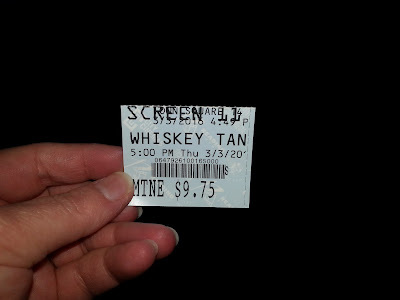 "Whiskey Tango Foxtrot," or "W.T.F." in military speak, has been, for the most part, marketed as a comedy, and to the film's disservice. Just because a movie stars Saturday Night Live alum Tina Fey doesn't mean it's a comedy. It is far more dramatic than one might expect based on what was displayed in the trailers. In no way does this movie make fun of or make light of the situation and war in Afghanistan. This is not to say the film as a whole is completely devoid of humor, because it's not. Instead of downright hilarious or laugh out loud funny moments, there is a lot more subtle and observational wit. There are many humorous moments that are situationally awkward as part of the larger 'fish out of water' tale as Kim Baker, played by Tina Fey, doesn't fully understand the culture she has been thrust upon in an effort to distance herself from her unfulfilling life at home in New York. On top of this, there is quite a bit of brash dialogue and raunchy jokes that may serve as gateway points to make the audience laugh, but in no way does this mock the very serious reasons which landed Baker in Afghanistan in the first place. 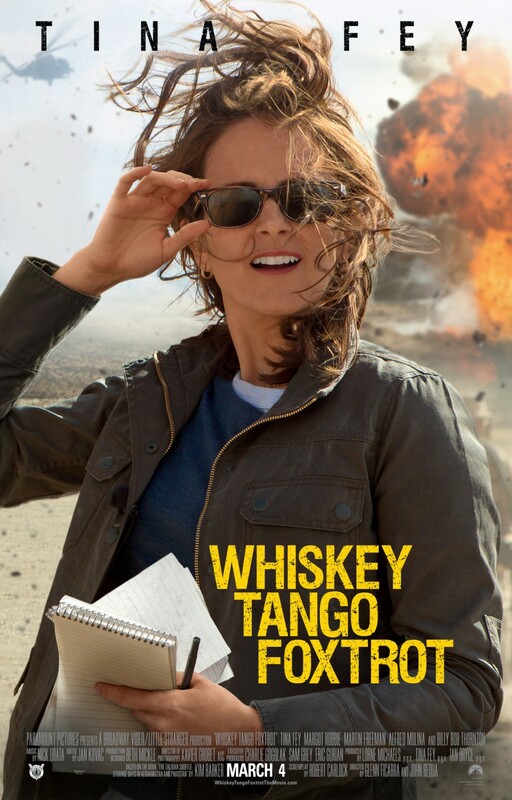 "Whiskey Tango Foxtrot" also offers a sobering look at the oppressive theocratic laws enforced by the Taliban, especially in the case of women. "W.T.F." is based on the memoir "The Taliban Shuffle: Strange Days in Afghanistan and Pakistan" by Kim Barker. As we mentioned, Tina Fey plays the lead role, renamed Kim Baker, and does a fine job doing so. Fey skirts the line between drama and comedy quite well, even though the story surrounding her performance is a little "white people problems" when you consider the bigger, more combative picture. Joining Fey are Margot Robbie, who plays Tanya Vanderpoel, one of the only other female reporters in Kabul, Martin Freeman, who plays Iain MacKelpie, a Scottish photographer who is the would-be love interest of Baker, and Billy Bob Thornton as General Hollanek, the Marine commanding officer Baker is embedded to while in Afghanistan. This is a great cast, and at times, we would have liked to see a little bit more from these fine actors, but overall, they do well with what they are given. Fey and Freeman steal the show and have some excellent scenes together. On the other hand, casting Christopher Abbot as a character named Fahim Ahmadzai was probably not a good move in the middle of Hollywood's diversity discussion, but if you've never watched HBO's "Girls," you might not even know he's a white American. He's just fine in his part, but the casting choice is a little more than puzzling. The biggest issue with the film is in its pacing. The movie feels long and doesn't necessarily need to be. This is not to say what's happening isn't interesting, but it is fully focused on the characters their individual situations without an overall plot or ultimate end goal. This quickly leads to meandering, a bit of disjointedness, and an overall uneven tone, much like war itself (disjointed, uneven, and messy). It is content to put its characters in an unfamiliar situation and shows us how it affects them, but there's not much else than that. For the most part, "Whiskey Tango Foxtrot" is a solid film as it offers a different look at what they mention is a "forgotten war." There are some very dramatic and hard to watch scenes of combat intermingled with witty dialogue, good performances, and journalistic how-to's. This will be another one of those polarizing movies where audiences are split between what they thought they would get and what was actually produced, much like February's "Triple 9." One year ago, we were watching: "Team America: World Police"